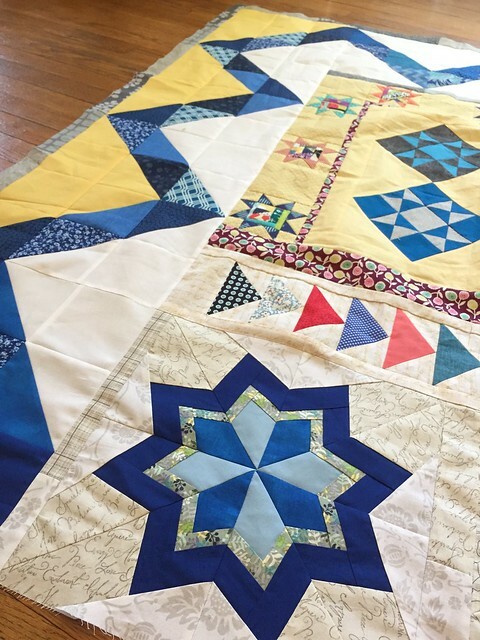 I’ve shown some pictures of this quilt in progress, and as just a top (between Instagram – QA Creations and the blog), but it’s finished! 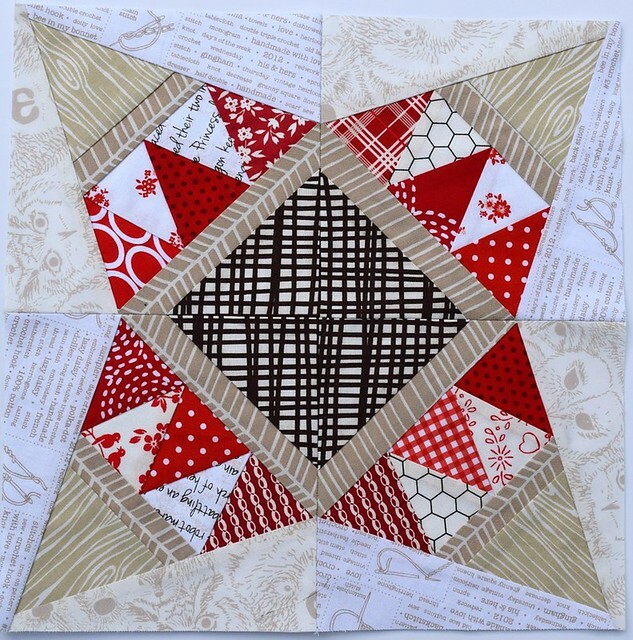 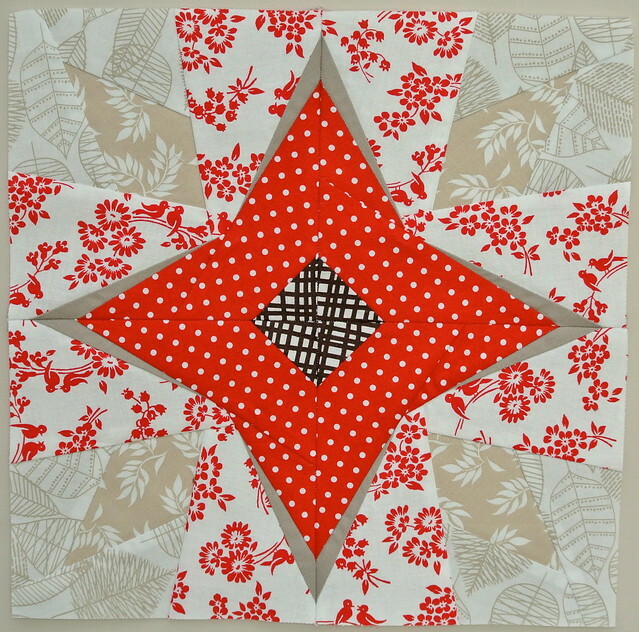 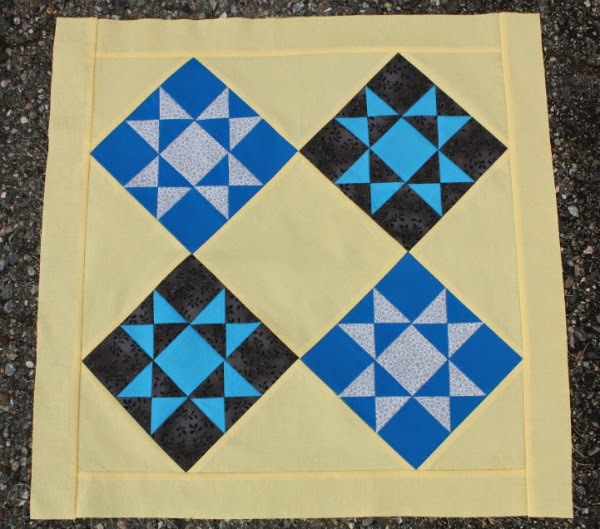 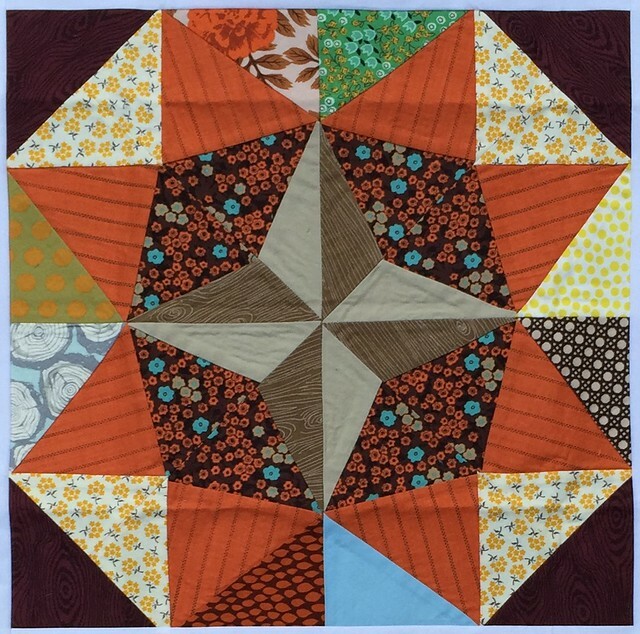 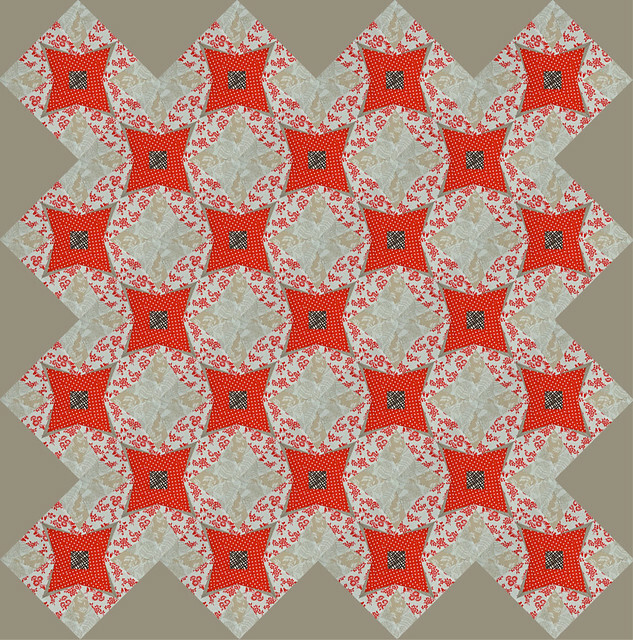 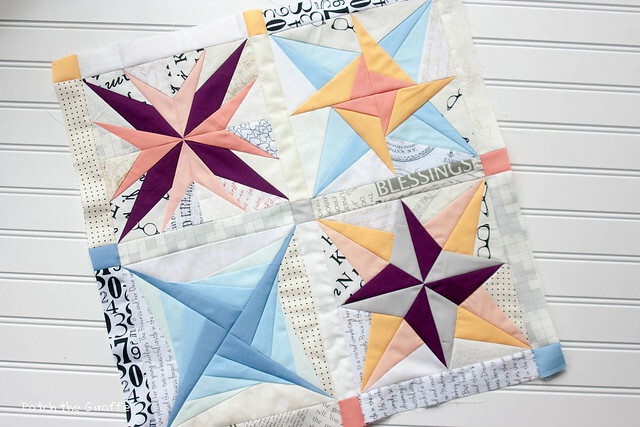 This is the 10″ block version of my Square Dance Quilt pattern (available on Craftsy). 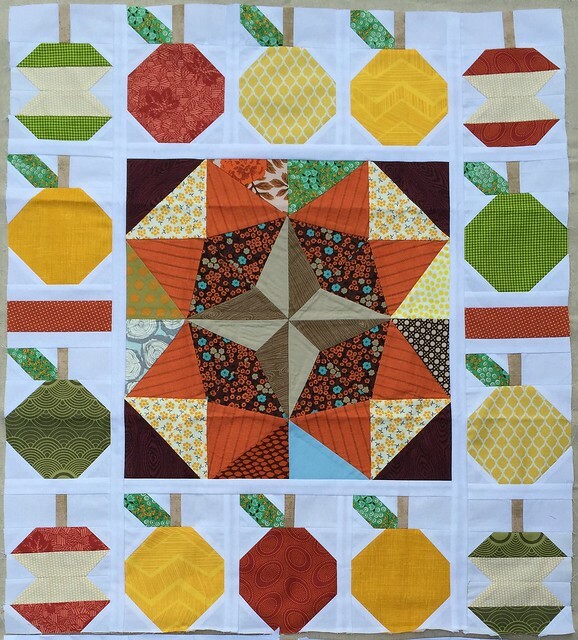 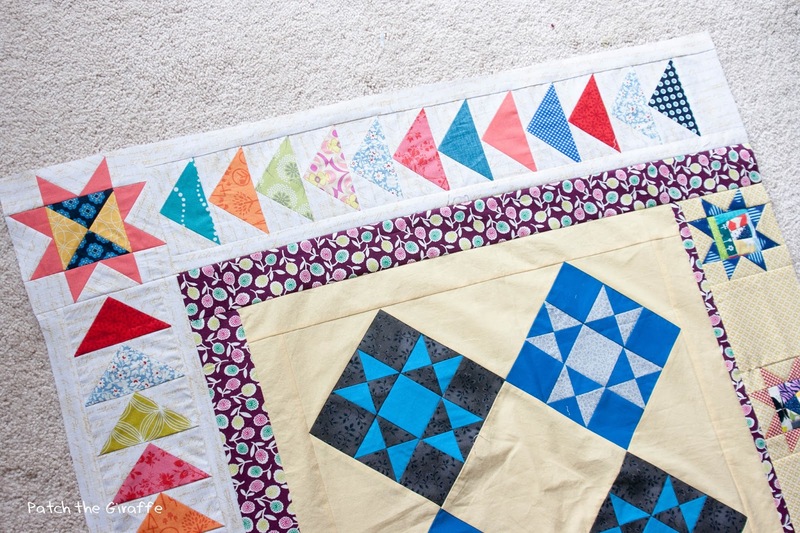 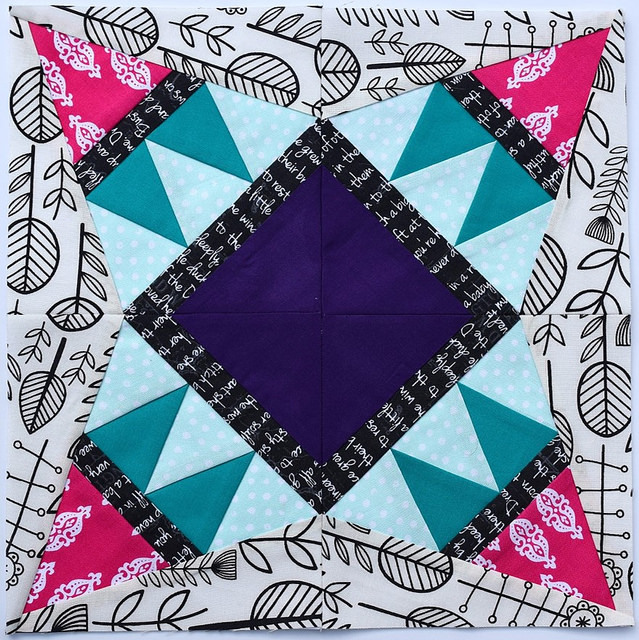 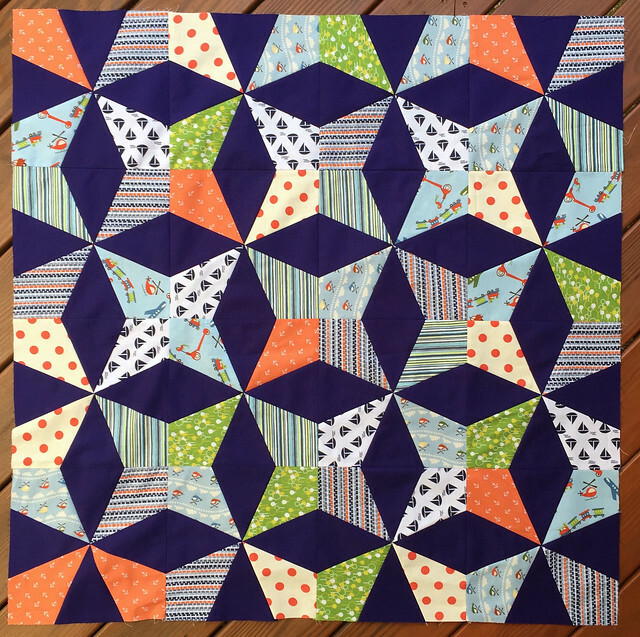 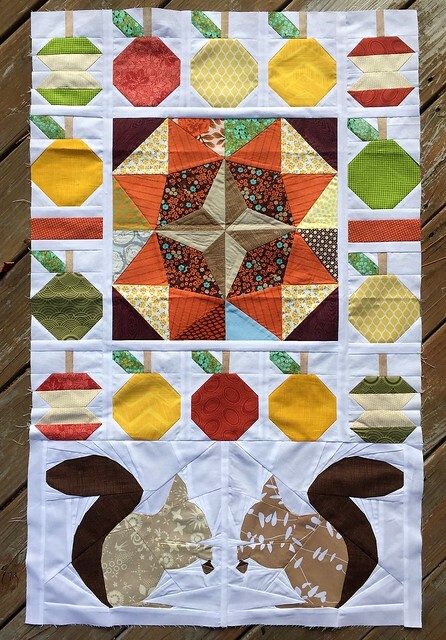 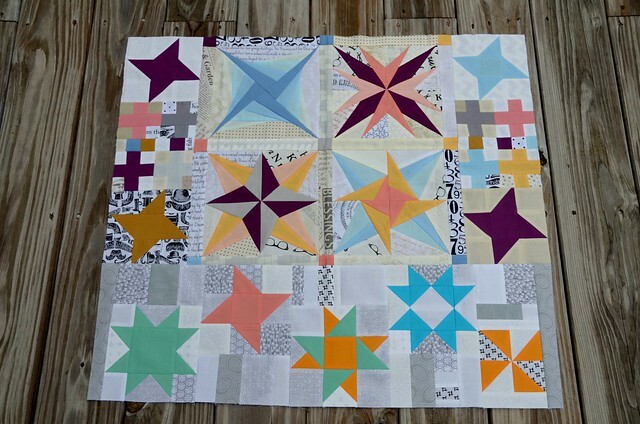 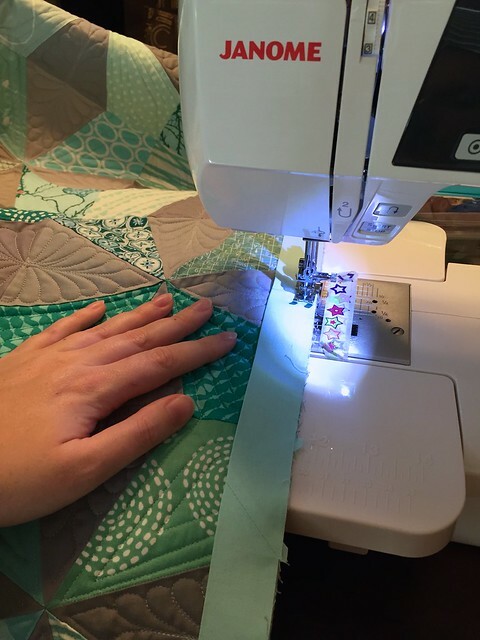 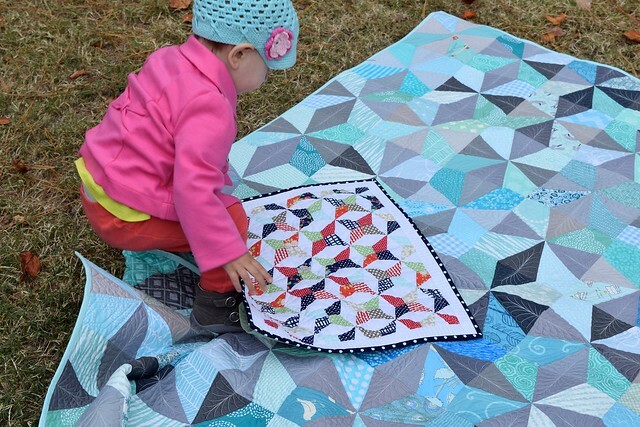 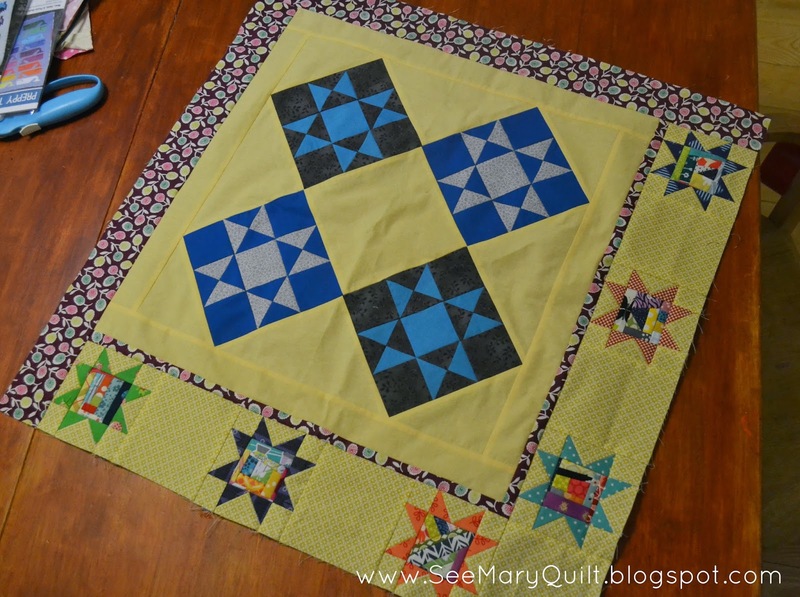 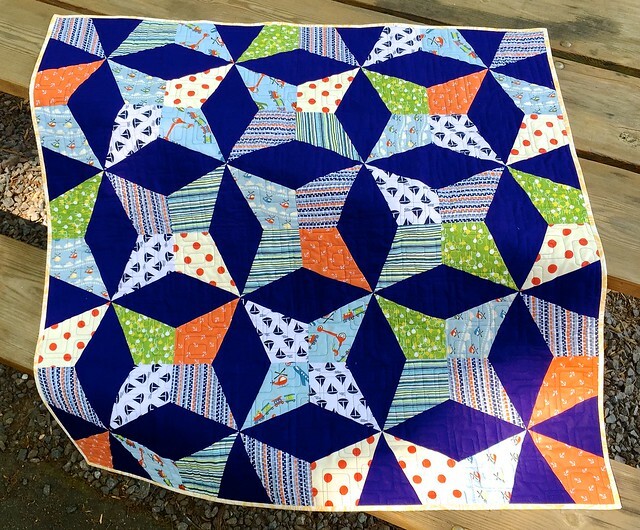 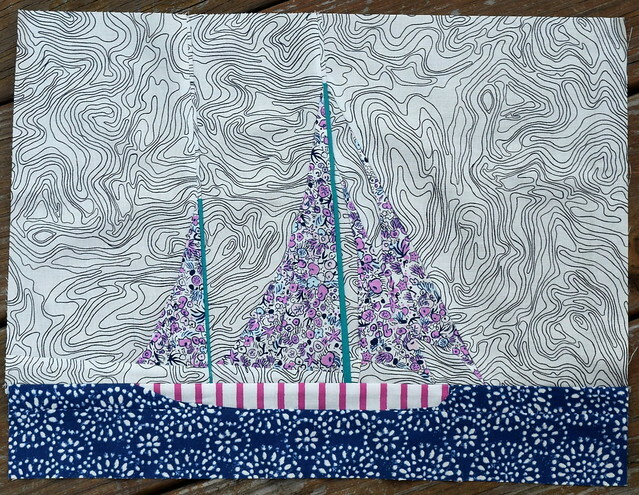 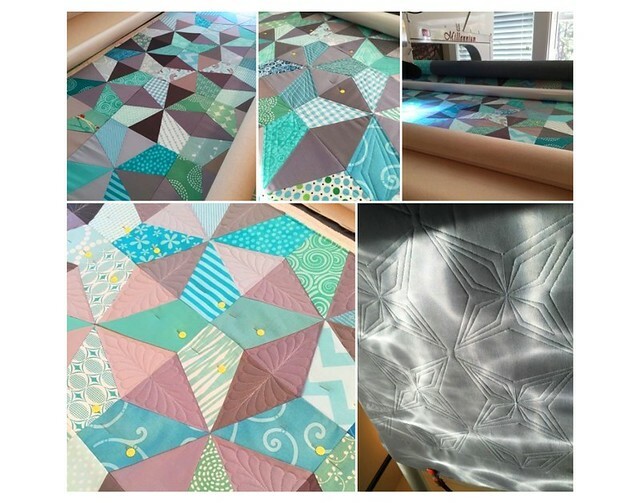 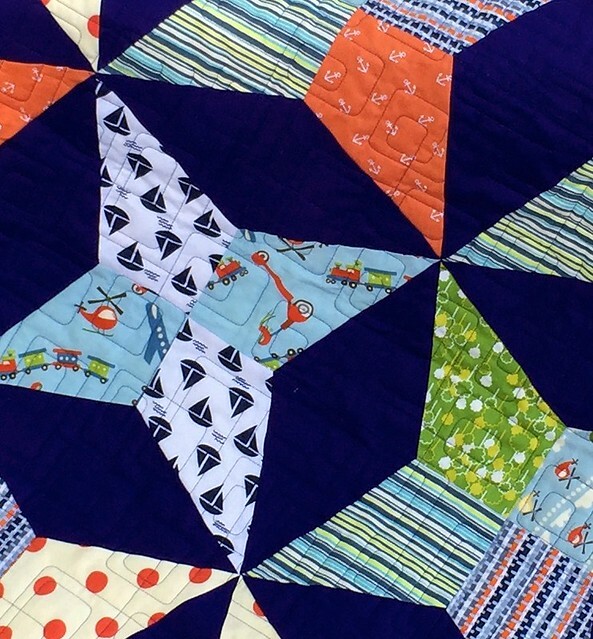 This quilt is my entry for the Spring 2015 Blogger’s Quilt Festival – Small Quilt group. 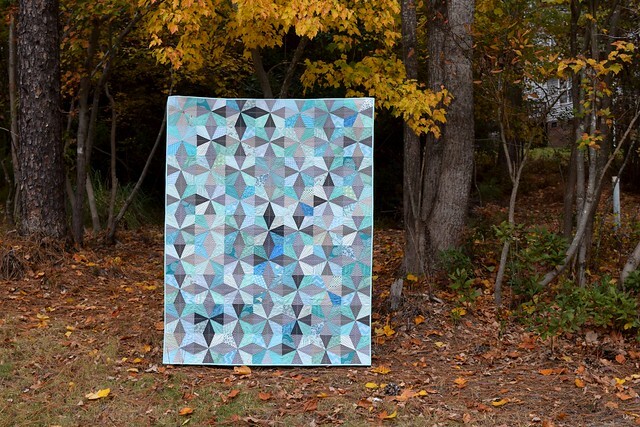 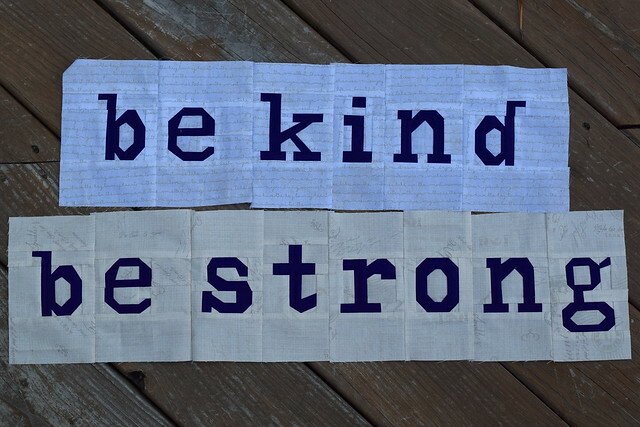 This quilt is about 40″ by 40″. 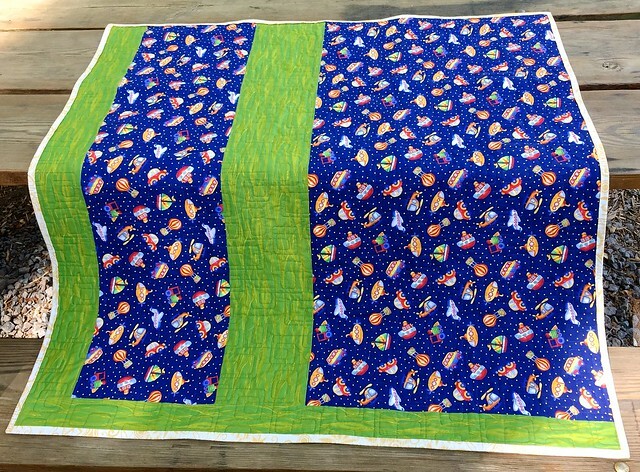 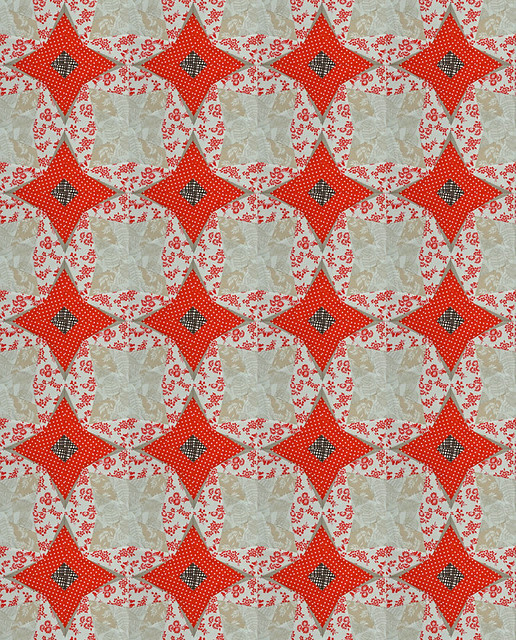 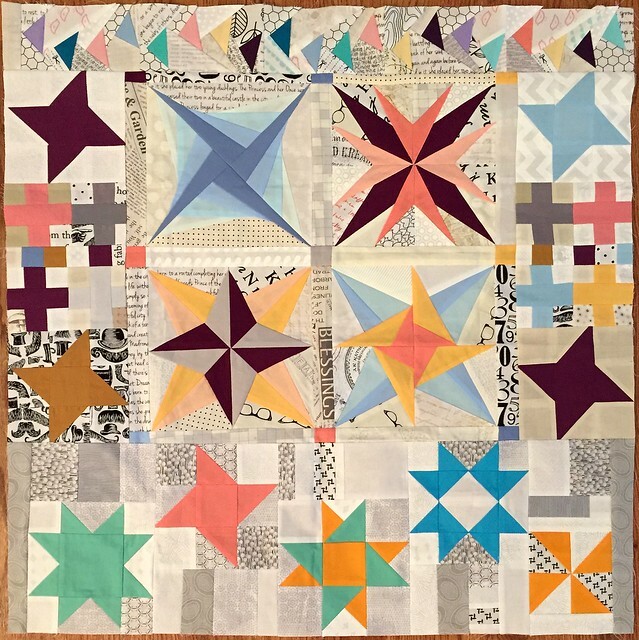 Many of the blocks in this quilt were made by members of my Quilting Circle – a wonderful group that I was a member of here in North Carolina. 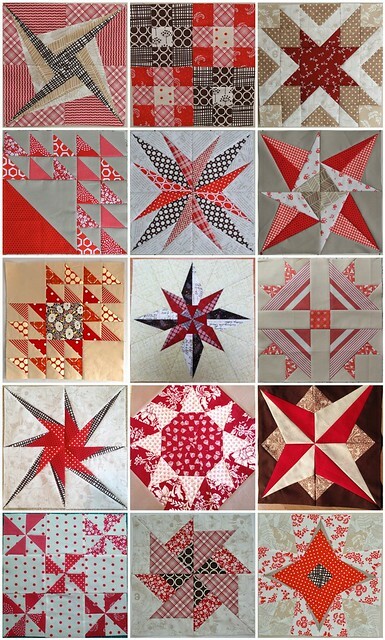 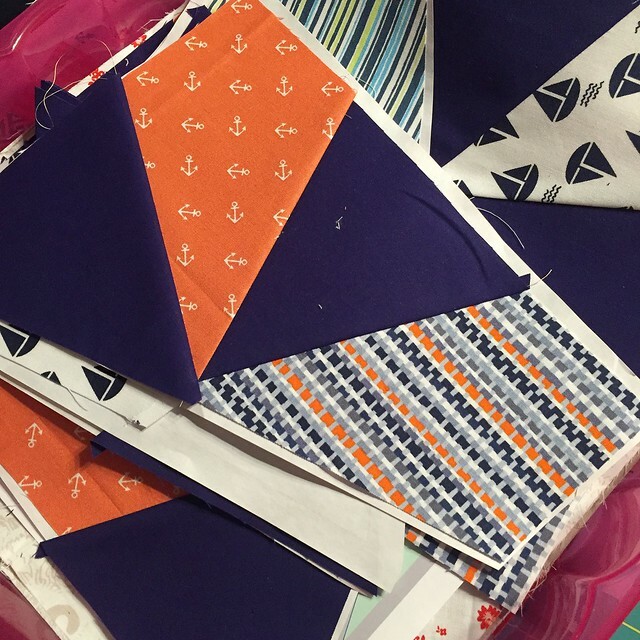 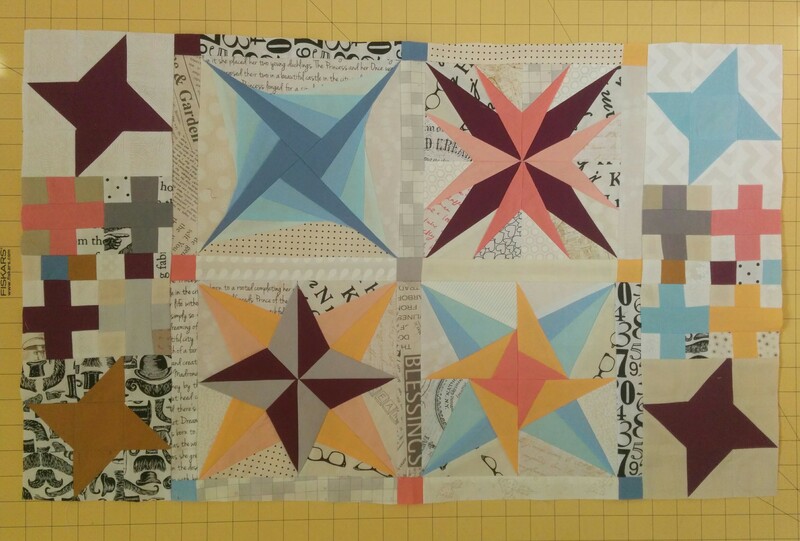 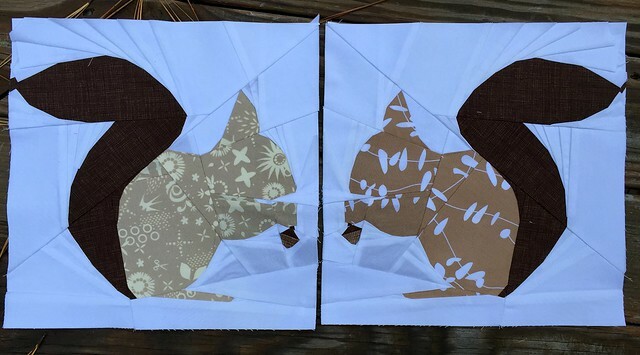 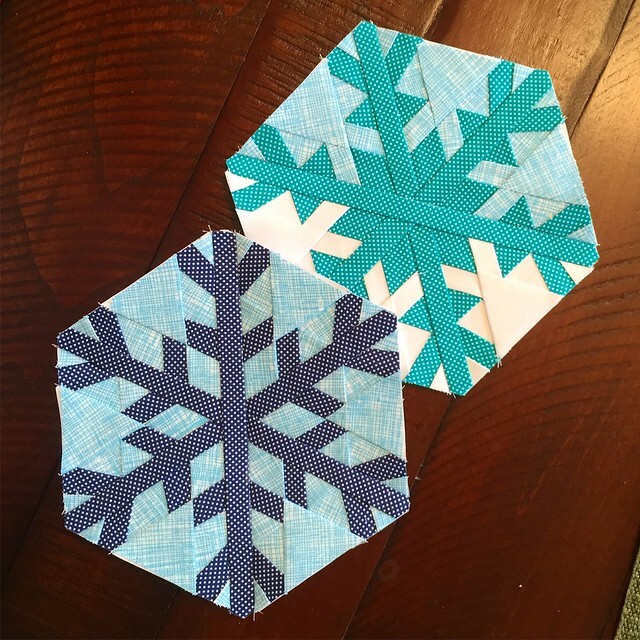 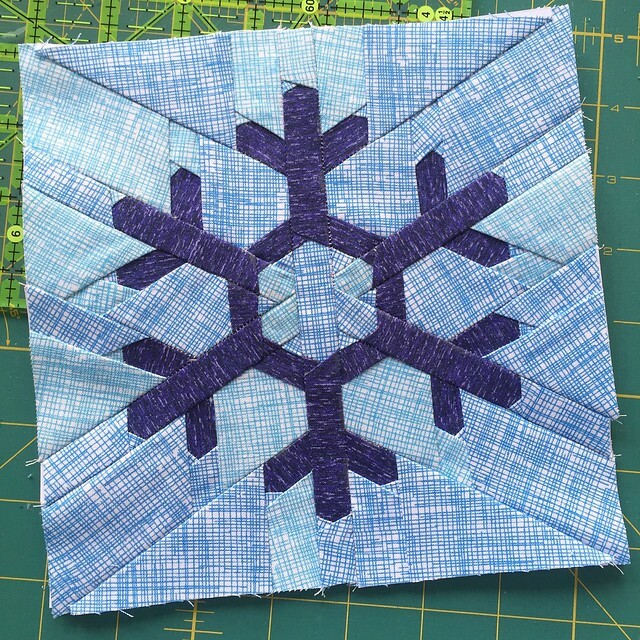 I did a paper piecing demo for the group, and then we all started work on these blocks. 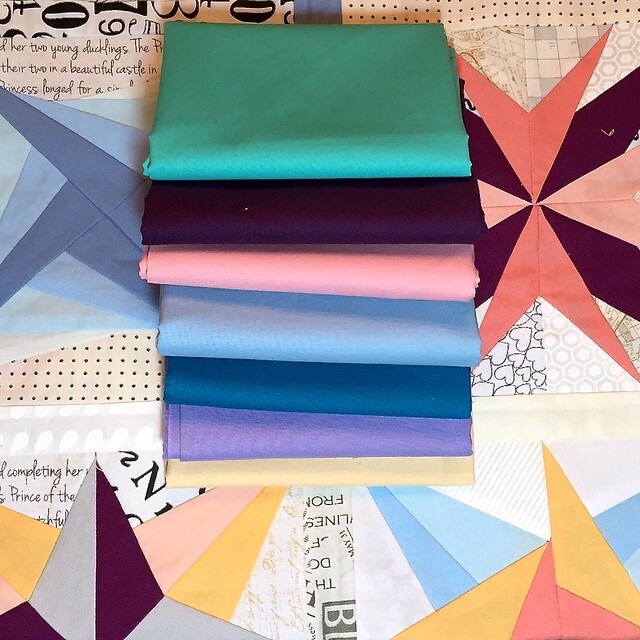 I had brought the fabric pre-cut so that the group could concentrate on learning paper piecing. 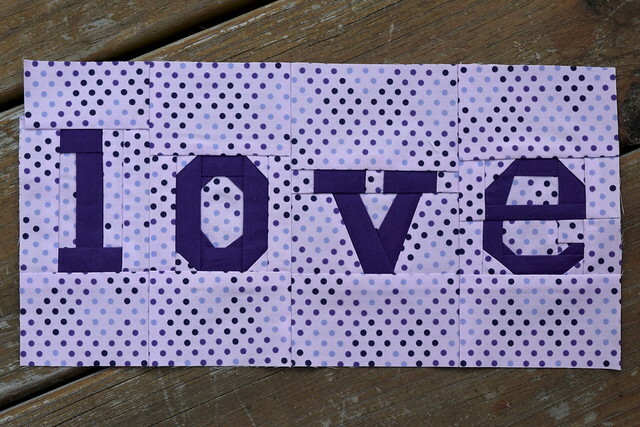 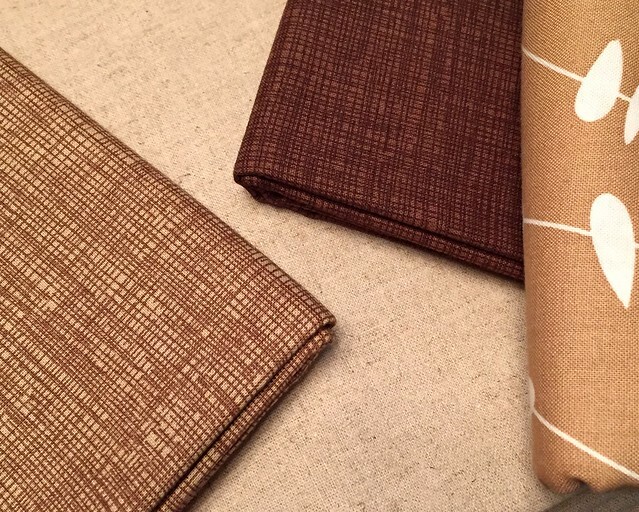 This was all fabric from my stash that was begging to turn into something cute and useful. 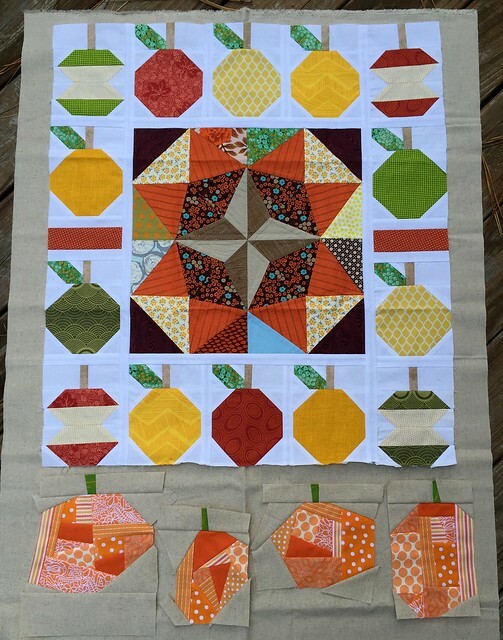 I was very impressed by how good these blocks turned out considering many of the ladies had never paper pieced before. 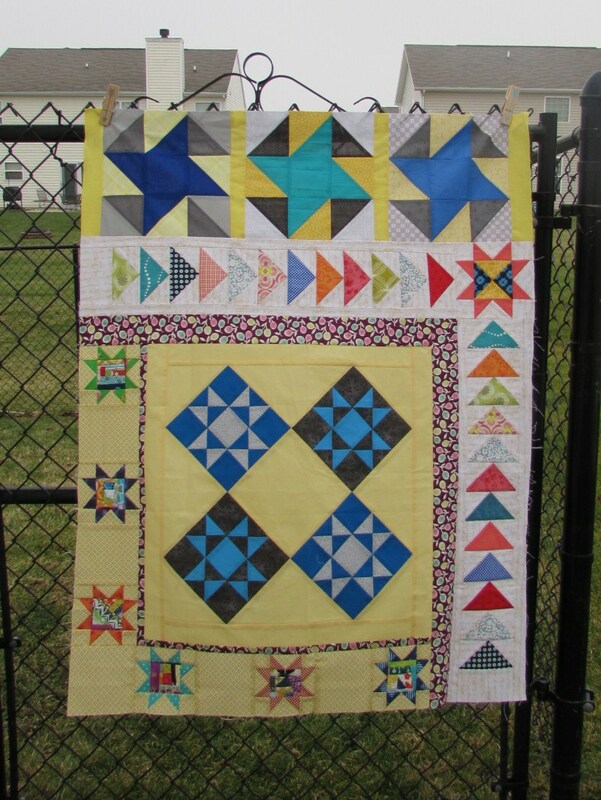 I took the blocks we made together, and added a few more so that I would have enough to create the top. 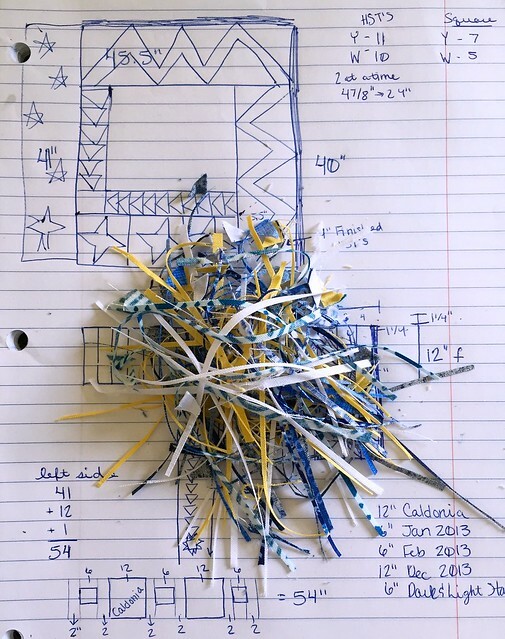 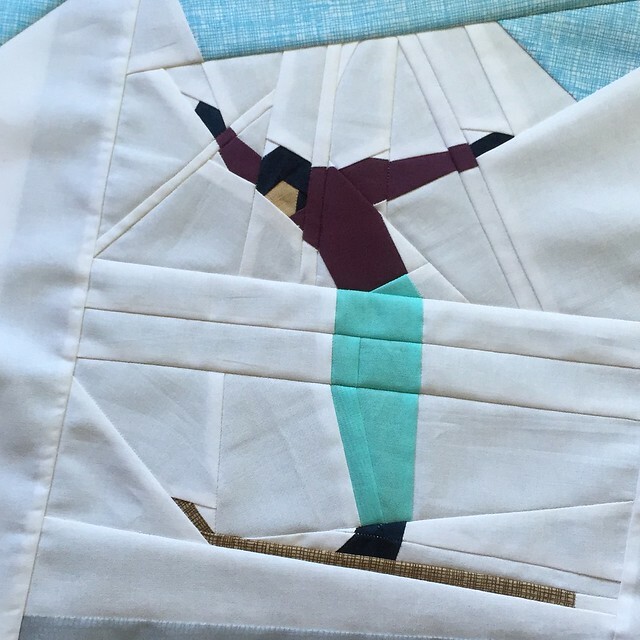 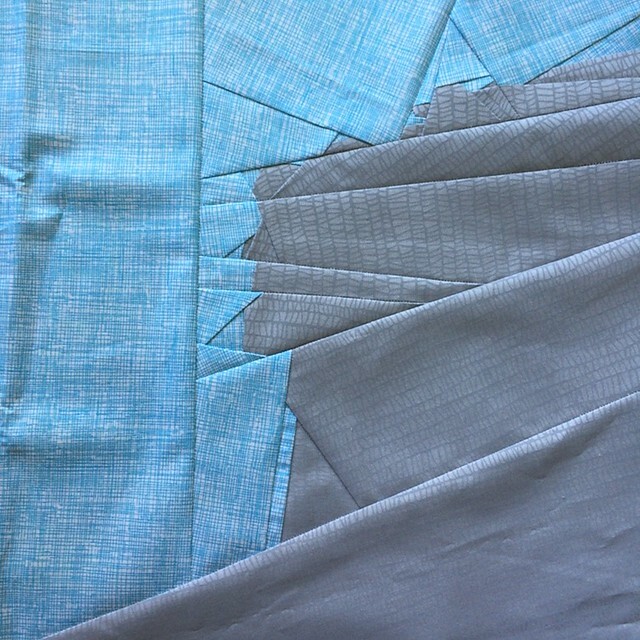 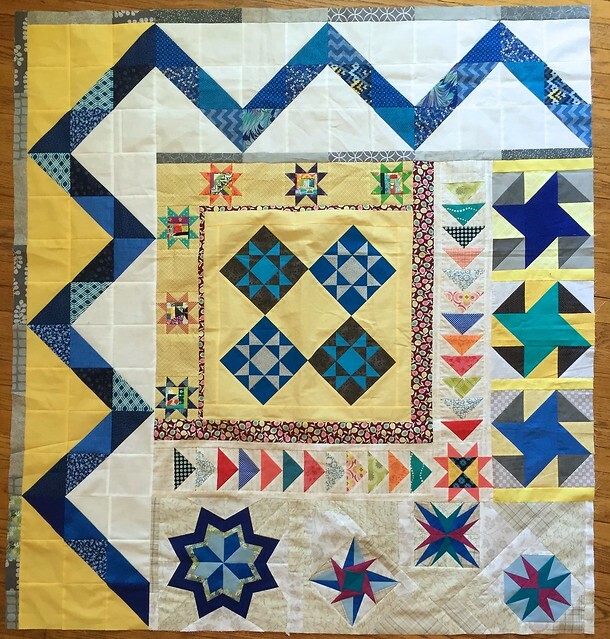 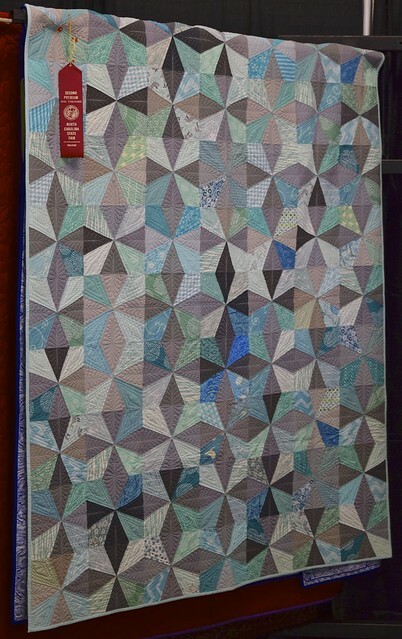 I quilted the Bauhaus panto all over using blue thread. 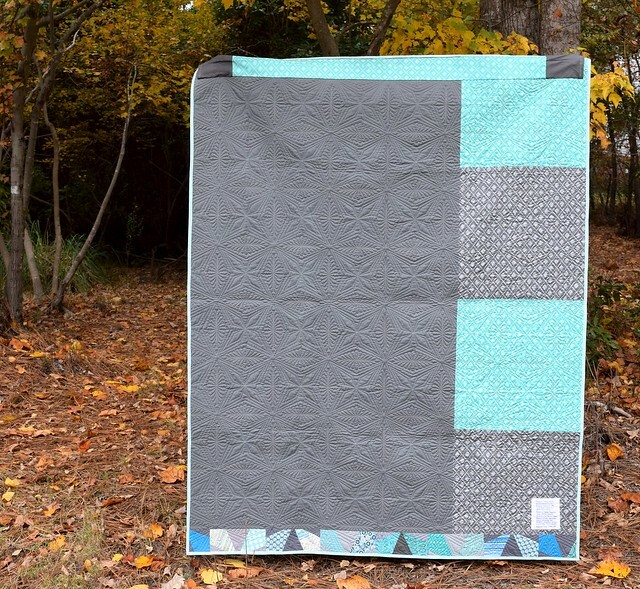 I love this pattern for masculine quilts. 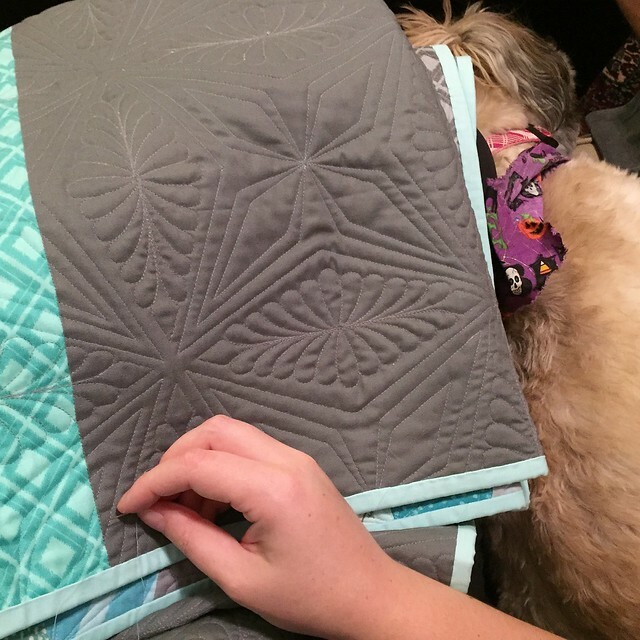 I was a little rushed finishing this quilt! 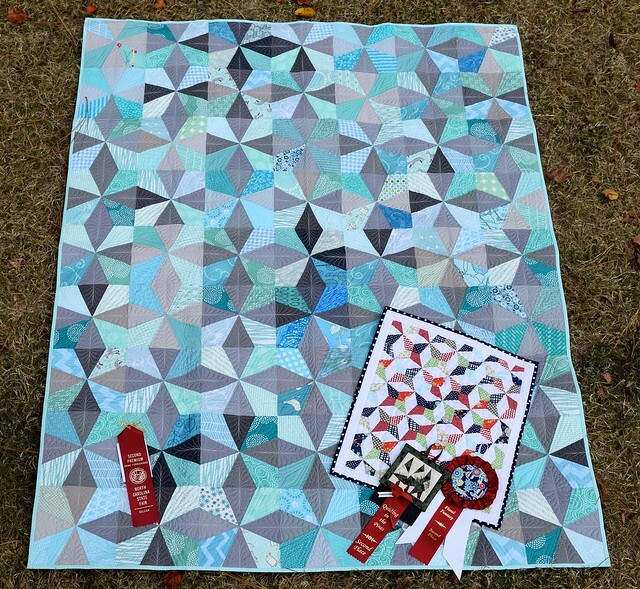 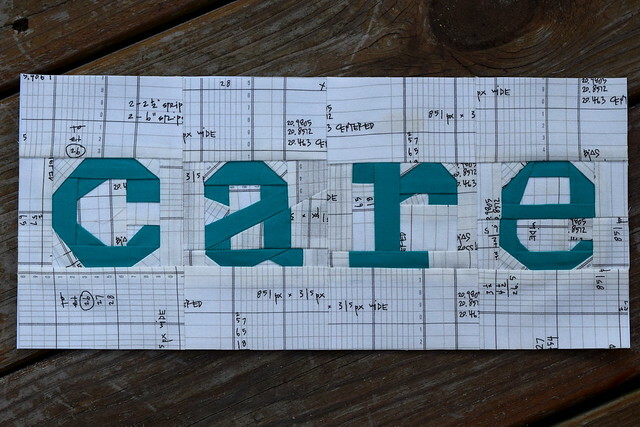 Sunday is my last meeting with the Tarheel quilt guild, so I was under a deadline to finish it and turn it in. 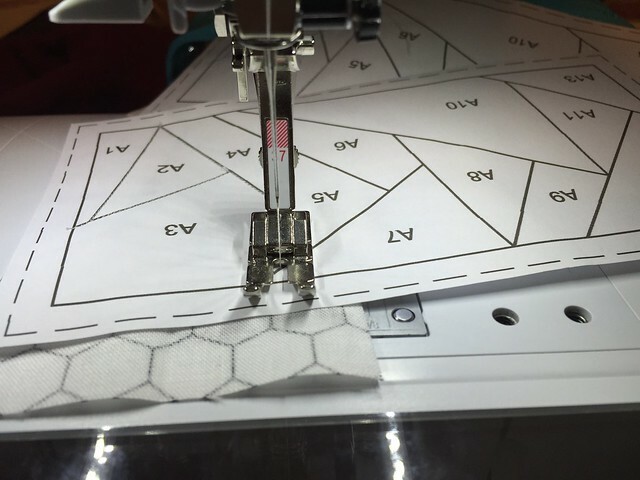 I may be stitching the label on during the meeting… we’ll see if I get it on in the next 18 hours or so. 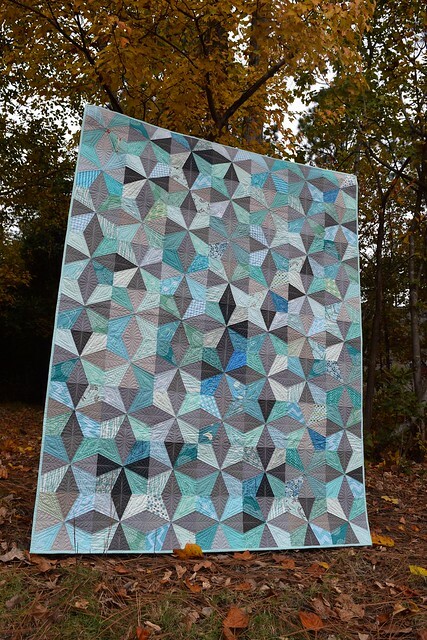 This quilt is going to the Fayetteville Tarheel Quilt Guild and will be donated to the NICU at the hospital. 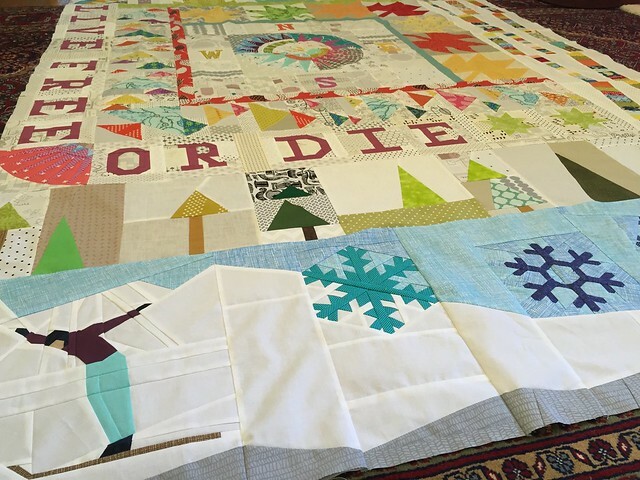 I hope that a family really cherishes this quilt, and that it brings them comfort during their stay with the NICU.